A new gene has been discovered with a very clear influence on racing capability nl. a dopamine receptor gene. Dopamine receptors are found in the brain and have the function to transfer signals of the neurotransmitter dopamine in specific zones inside the brain. Variations in this gene has been associated in humans and animals with character treats and certain mental capabilities. In humans f.e. this receptor has been associated with creativity, more or less sensitivity for depression, etc. The variant CCCC was associated with the lowest mean in racing performances. The variants CTCC and CCCT with higher averages (statistically significant); and the CTCT variant very clearly had a very high mean in racing performances. This was significantly proven on speed and middle distance. Also on long distance the mean was higher but this could not be proven statistically. More research will have to give more clarity on that. According to what we see and suspect; this influence will be equally present on longer distances, as we have seen a homozygote TT in a first Ace extreme long distance of Belgium, while this has never been found before, even in the large study in Animal Genetics. In any case the CT variant is found a lot more in Ace pigeons. 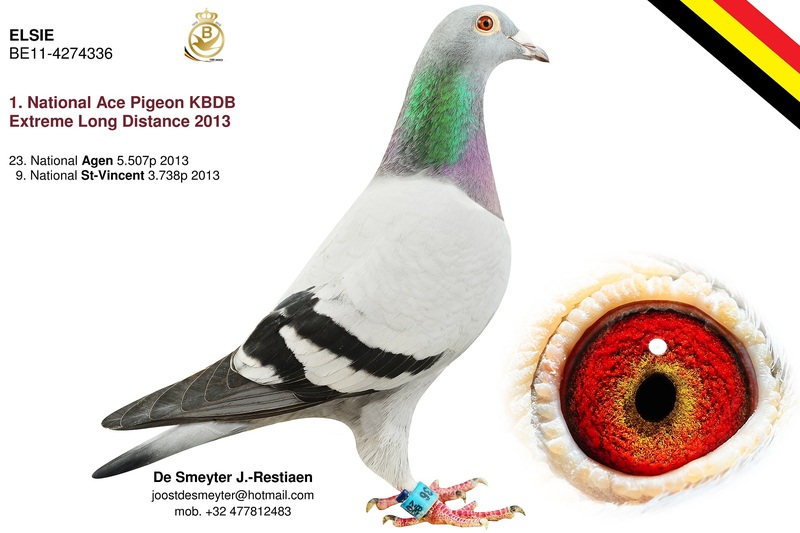 It is very clear that DNA research is increasingly helping us to know more about true genetic quality of racing pigeons, next to performances, pedigree and external properties. Certainly for breeding value this is the case.